Why does the earned income tax credit have such a good reputation for fighting poverty? Maybe you’ve noticed the posters on the bus or the subway with the mom, dad and two cute kids saying, “You’ve earned it.” Perhaps you’ve heard the ads on Pandora. 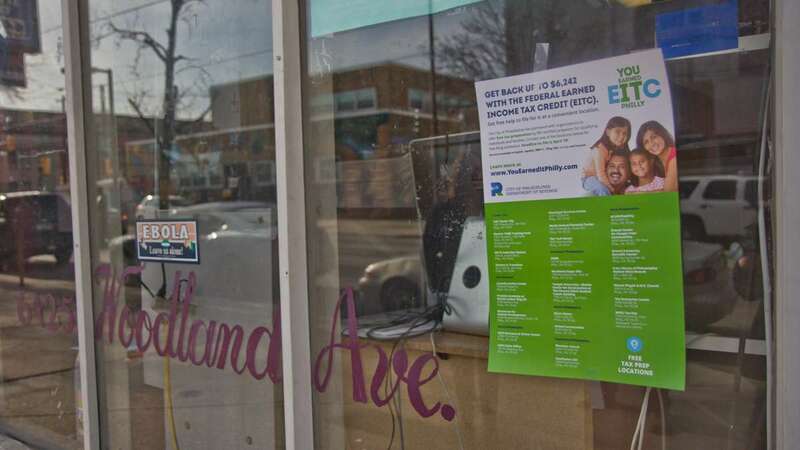 They’re part of a push by Philadelphia’s Revenue Department to get more residents to sign up for the earned income tax credit, which is costing more than $1 million. So why is the city making this investment? In Philadelphia, about 200,000 residents are eligible for the EITC, but last year 20 percent of them didn’t apply. They left a combined $100 million on the table, said City Revenue Commissioner Frank Breslin. “The numbers kind of just jumped out at us, and we thought, this is something that we should really engage in,” he said. The EITC is widely considered one of the country’s most effective anti-poverty programs. It’s not a deduction, but a credit designed to give low-income workers back more from the IRS than they paid in income taxes. So a family with three or more children earning less than $53,267 a year could get $6,242 back. 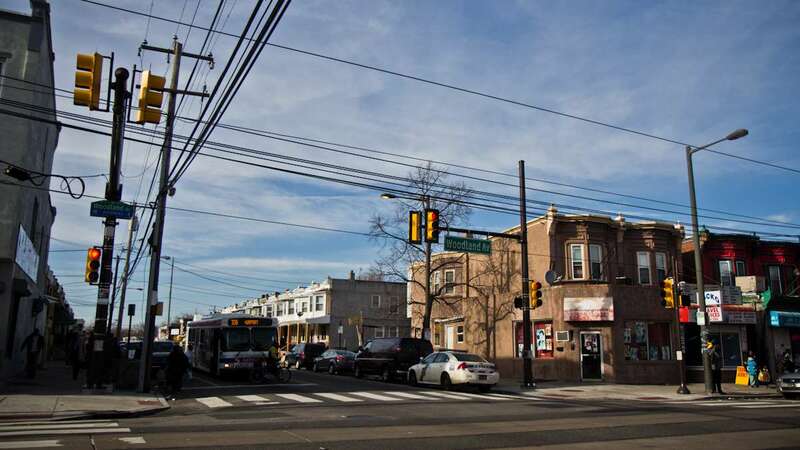 The average refund in Philadelphia is $2,400. 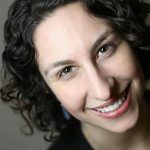 Elizabeth Kneebone, a fellow with the Brookings Institution’s Metropolitan Policy Program, said, together, the EITC and the Child Tax Credit help lift 9 million Americans out of poverty every year. “Because it’s a refundable credit, meaning that workers can receive whatever’s left over after offsetting tax liability in their refund, that extra income helps boost families above the poverty line,” she said. And because it only goes to working people, it’s one policy both Republicans and Democrats like. Last year, Breslin’s department convened focus groups to find out why so many people in America’s poorest big city were not signing up for the credit. They found many had never heard of it or couldn’t afford good tax-preparation services. Last year, Sanders and her husband, Donald, had their taxes prepared for free at the Southwest Community Development Corporation and found out they did qualify for the EITC. One week later, Sanders said, they got a check in the mail for more than $3,000. “I felt so good, I came back and brought these guys pizza, the whole staff, ’cause I really appreciate what they had done,” she said. In addition to four boxes of pizza, Sanders used the money to pay her car loan and other bills that were a little behind. Plus, she got a little extra change to use at the poker tables at Harrah’s casino, she said with a laugh. 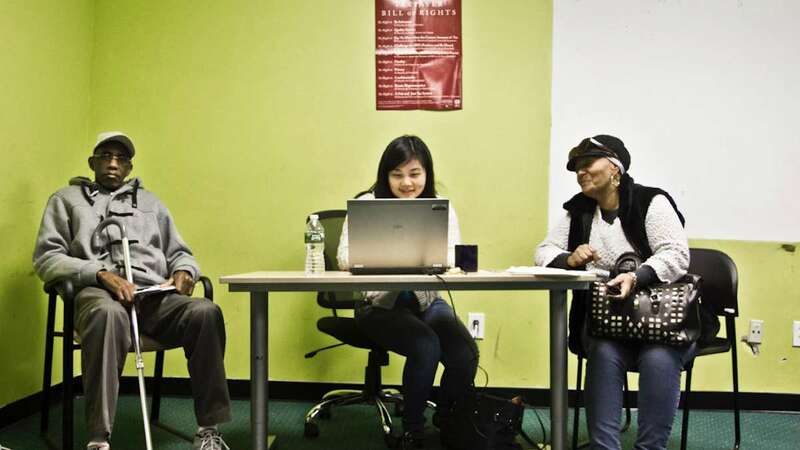 As part of this year’s outreach, nonprofits Campaign for Working Families and PathWays PA are being paid to provide free tax-preparation services in locations across Philadelphia, the suburbs and South Jersey. The city is also paying for street teams to hand out fliers and posters in neighborhoods like the Sanders’ with the highest proportions of low-income residents who could be eligible. But if the Sanders’ story shows the benefits of the EITC, it also reflects the program’s limits and complications. This year, when they went back to the Southwest CDC to file their taxes, they found out they no longer qualified for the tax credit. After a diagnosis of COPD, Donald Sanders retired from his job as a truck driver on disability benefits. Last year, those benefits counted as “earned income” because he was below the minimum retirement age to receive a pension. Now, he’s over 60 and those disability benefits don’t count toward the EITC. And some say there are other flaws with the program. 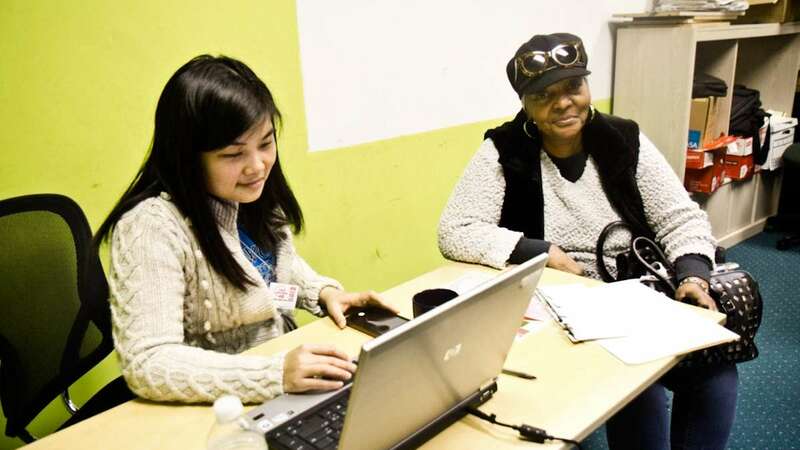 Michelle Arthur runs one of the free tax sites in North Philadelphia. So far, Arthur said, the campaign seems to be bringing in more people who are eager to find out if they qualify for the EITC. But she has noticed that while families with children are getting thousands of dollars back, people without kids are only getting a few hundred dollars at most. Change could be on the horizon. Both President Obama and House Speaker Paul Ryan have proposed expanding the tax credit for childless workers.